Thomas Keith Cothrun was recognized as a Fellow of the Jack, Joseph and Morton Mandel Center for Advanced Holocaust Studies with the United States Holocaust Memorial Museum from 1999 to 2000. 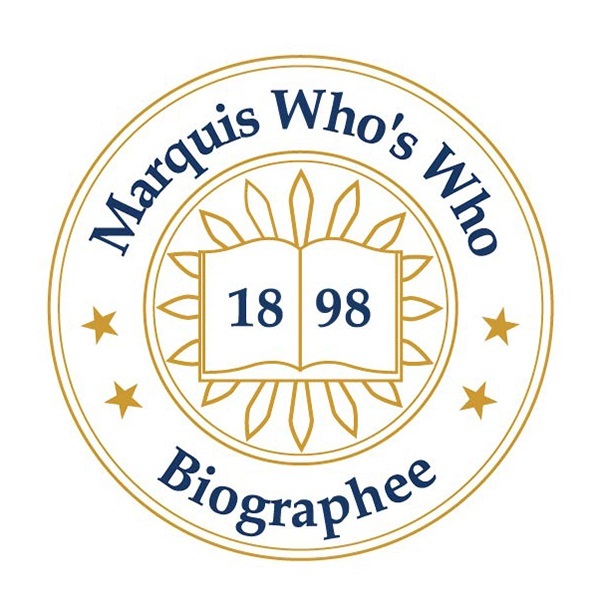 MEDFORD, NJ, September 25, 2018 — Marquis Who's Who, the world's premier publisher of biographical profiles, is proud to present Thomas Keith Cothrun with the Albert Nelson Marquis Lifetime Achievement Award. An accomplished listee, Mr. Cothrun celebrates many years' experience in his professional network, and has been noted for achievements, leadership qualities, and the credentials and successes he has accrued in his field. As in all Marquis Who's Who biographical volumes, individuals profiled are selected on the basis of current reference value. Factors such as position, noteworthy accomplishments, visibility, and prominence in a field are all taken into account during the selection process. With 35 years of experience, Mr. Cothrun has worked as the executive director of the American Association of Teachers of German since 2012, having previously held the title of vice president and president elect from 1994 to 1995, and president from 1996 to 1997. Prior to this appointment, he served The College Board as the director of World Languages and Culture in the Advanced Placement Program from 2010 to 2011 and associate director of World Languages and Culture from 2007 to 2009. Previously, Mr. Cothrun served as a German language teacher and coordinator with the German American Partnership Program at Las Cruces High School for Las Cruces Public Schools from 1986 to 2007. Mr. Cothrun began his career as a German language teacher at Alamogordo High School from 1983 to 1986. Before embarking on his professional path, he pursued an education at the University of Arizona, earning a Bachelor of Arts in education in 1982. Mr. Cothrun completed his studies at the University of New Mexico in 1993, graduating with a Master of Arts in German studies. Beyond his responsibilities within the field, Mr. Cothrun has participated in numerous endeavors in his professional circles. He has held the roles of director of the German Weekend in New Mexico from 1985 to 1989 and from 1999 to 2001, task force member for the National Standards for Foreign Language Teaching from 1993 to 1996, and consultant for The College Board from 1993 to 2006. He has contributed to the American Southwest Theatre Company with New Mexico State University as president from 2006 to 2007 and trustee from 2005 to 2007. Mr. Cothrun found success with his written works as well, having co-authored “German-American Partnership Program Handbook” in 1993, co-edited “Deutsch als zweite Bildungssprache in MINT-Faechern” in 2018, and multiple articles for esteemed journals. In addition to his primary trade, Mr. Cothrun remains affiliated with various organizations in relation to his areas of expertise. He was a member of the Association for Supervision and Curriculum Development, the New Mexico Organization of Language Educators, the Modern Language Association, and the German Studies Association. He had maintained involvement with the American Council on the Teaching of Foreign Languages as president-elect in 2003 and president in 2004. He was associated with a number of conferences in his industry, including the Northeast Conference on the Teaching of Foreign Languages, the Central States Conference on the Teaching of Foreign Languages, and the Southern Conference on Language Teaching, for which he was recognized as an honorary lifetime member in 2008. Mr. Cothrun was also active with the National Board for Professional Teaching Standards as a foreign language standards chair from 1998 to 2001, on the board of directors from 2002 to 2007, the nominating committee chair in 2007, and the foreign language standards revision co-chair from 2008 to 2009. In light of his exceptional undertakings, Mr. Cothrun has accrued several accolades and honors throughout his impressive career. He was recognized as Teacher of the Year by Las Cruces Public Schools in 1995, a Fellow of the Jack, Joseph and Morton Mandel Center for Advanced Holocaust Studies with the United States Holocaust Memorial Museum from 1999 to 2000, a Friedrich-Gerstäcker-Travel Grantee of the Checkpoint Charlie Foundation in 2001, and Teacher of the Year by the New Mexico Organization of Language Educators in 2002. He was also presented with an American Teacher Award from the Walt Disney Company in 1995, an Excellence in Teaching Award from the American Councils for International Education in 1999, a Certificate of Merit in 1993 and Outstanding German Educator in 2001 from the American Association of Teachers of German, and a Creativity in Teaching Award in 1993 and a Lifetime Achievement Award in 2007 from the New Mexico Organization of Language Educators. Mr. Cothrun was selected for inclusion in many editions of Who's Who in America, Who's Who in American Education, Who's Who in the East, Who's Who in the South and Southwest, and Who's Who in the West. In recognition of outstanding contributions to his profession and the Marquis Who's Who community, Mr. Cothrun has been featured on the Albert Nelson Marquis Lifetime Achievement website. Please visit www.ltachievers.com for more information about this honor.